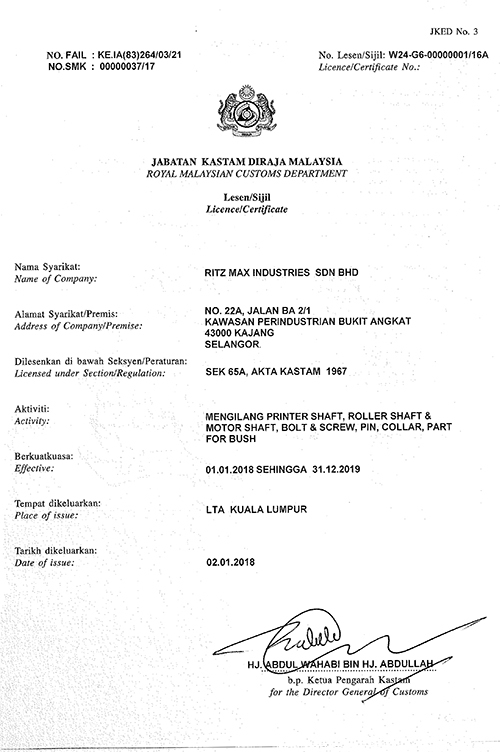 RITZ MAX INDUSTRIES SDN. BHD. 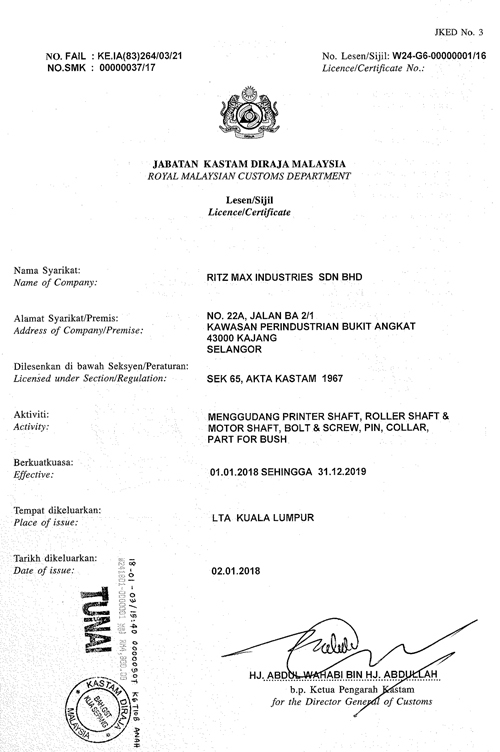 was incorporated in Malaysia under the Company Act 1965 on 20th Jun 2002. 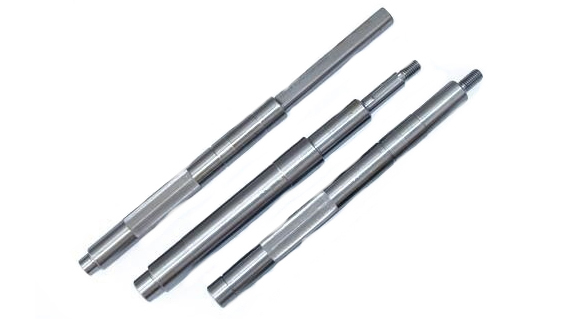 The activity of the Company Act is to manufacture metal shaft such as Motor Shaft, Printer Shaft, Roller Shaft, Machinery Parts and etc. according to customer specifications. 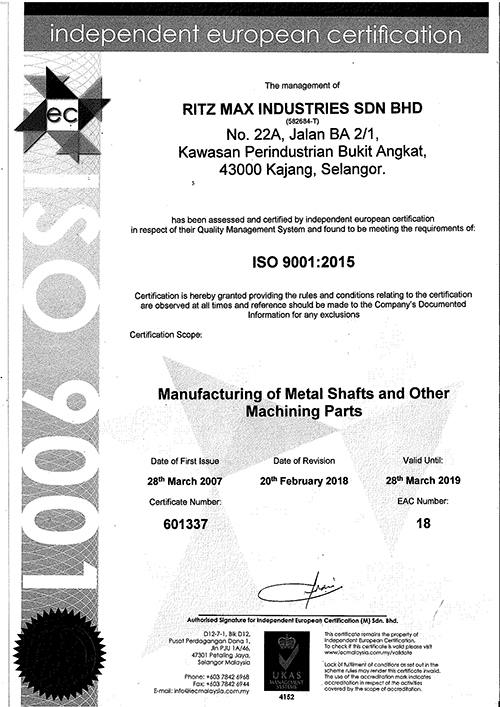 With the aim of improve the products quality and enhance customer satisfaction, RITZ MAX INDUSTRIES SDN. BHD. embarks on the implementation of ISO 9001 International Standard. Our investment and commitments are mainly focused in providing solution for the discerning customers’ demands and innovations. With the scientific analysis combined with the highest manufactory experience, we are committed to helping you reach your highest quality accuracy and customer satisfaction. Besides that, we also have an engineering department working on the enhancement of the quality. To be the most preferred local and global automotive modular assembly company contributing to a better world by creating value through reliable quality and continuous customer satisfaction. To exceed our customer expectations in quality, delivery and cost through continuous improvement and total customer satisfaction.